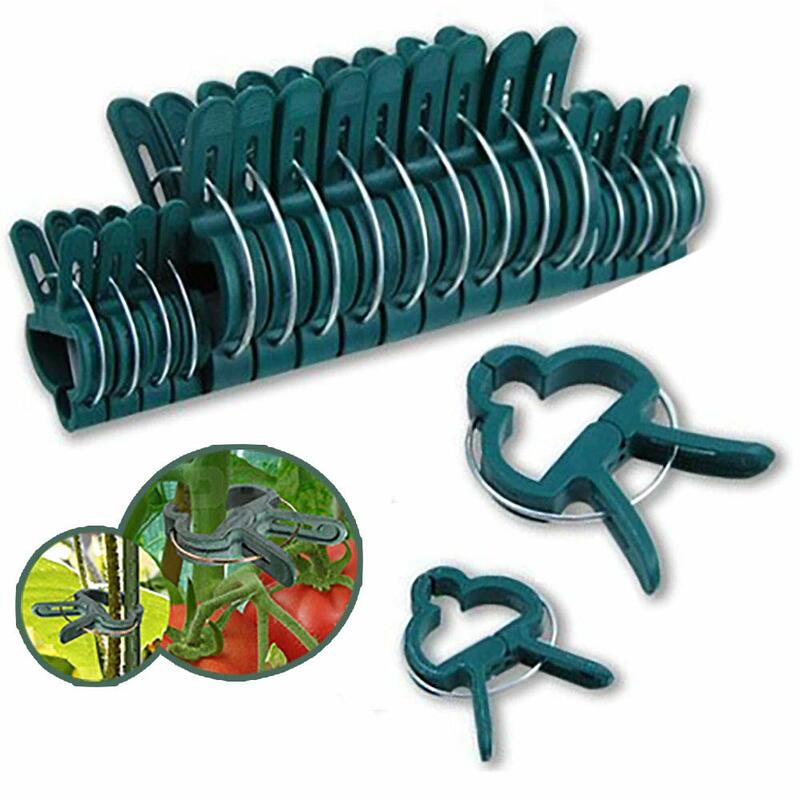 The ZCINT Plant Clips is an especially designed Clip to use when you want to keep your Veggies, Flowers, Climbing and Crawling Plants or small Trees together, to protect from Weather, Wind, or Rain Damage without harming damaging or injuring the plant. Total of 20 plant clips. Quickly and easily secure plant stems to garden stakes. Weatherproof, Reusable, Durable, heavy-duty, long lasting stainless steel spring clips, as opposed to recurring expenses on disposable tie twisters. Won\'t harm or block the plant from growing because of tightness, and will support the stems with a perfect grip, The Green color camouflages and virtually disappears into the foliage. Not detracting from the beauty of your vines or ornamentals.